Valerie Plame Wilson, a former CIA operative who sparked outrage by tweeting out an anti-Semitic article Thursday, fundraised for Democratic presidential candidate Hillary Clinton during her 2016 campaign. The New York Times reported in August 2015, "Valerie Plame Is Among Hillary Clinton’s September Fund-Raisers." "Hillary Rodham Clinton will make a two-day swing across the West Coast to raise money next month, where her campaign will hold a fund-raiser with the exposed former C.I.A. 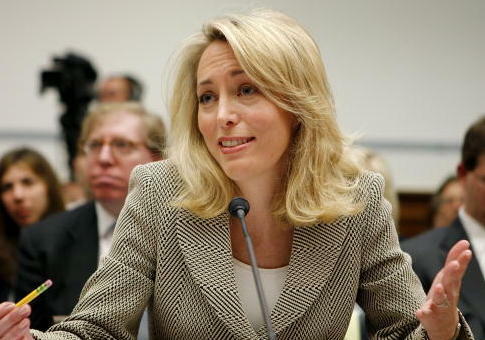 officer Valerie Plame," reported the Times‘ Maggie Haberman. Originally the Times reported that Clinton herself would be attending the fundraiser. A correction the next day clarified that, while the fundraiser would took place during Clinton's California swing, she would not be present. Plame Wilson, who first made headlines when she was outed as a covert intelligence officer by a Bush administration official in 2003, caused controversy of her own by tweeting out a story that claimed American Jews were "driving America's wars." At first, Plame Wilson doubled down and defended the article, which claimed that Jews should be banned from holding U.S. diplomatic positions in the Middle East, and should be forced to identify themselves as Jewish on cable television. Ultimately though, Plame Wilson admitted her error and apologized. This entry was posted in Politics and tagged 2016 Election, Fundraiser, Hillary Clinton, Israel, Valerie Plame. Bookmark the permalink.